It was fantastic to see a new venue open and that caused a buzz on Birmingham’s foodie scene, and I decided to add my bassy lungs to the mix. Since then, we’ve been back multiple times and I’ve been back for a few work lunches too, with the hanging kebabs always a firm favourite. 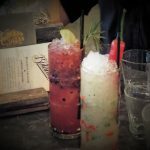 Tonight wasn’t about food however, as The Botanist had invited me to investigate their refresh of the extensive cocktail menu, which was back to the classics and adding some inventive twists. 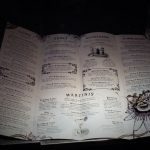 The menu is beautifully designed on heavyweight paper, something for the stationery geek in me! The drinks themselves (more than 45!) are comprehensive and covers mojitos, manhattans, slings, martinis , caipirinhas and daiquiris to name a few. It’s divided into sections covering, long, short, martini’s, classics and flutes to help guide your eye to the relevant section. There’s even a few beer and cocktail pairings: a mini cocktail topped up with beer served with the can, complete with tasting note, and served on a flight board. 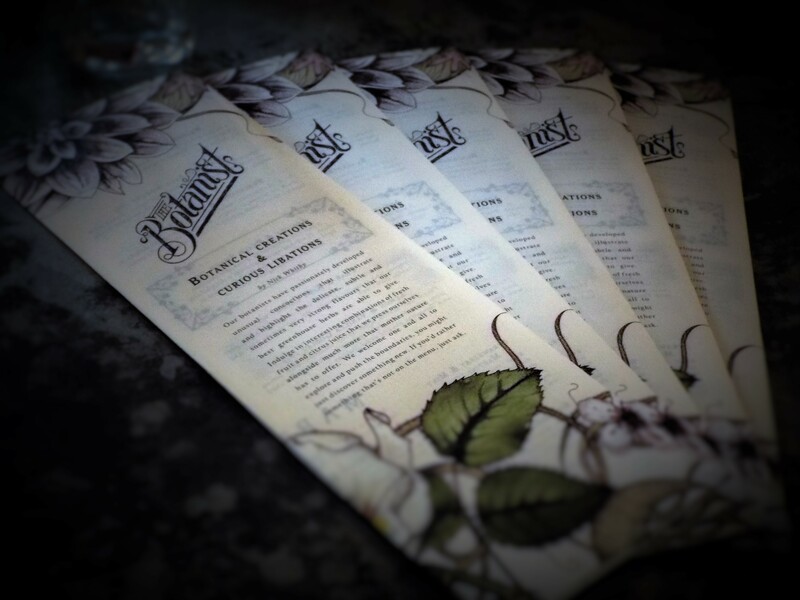 Of special mention is the gin list- with gins locally sourced from each of The Botanist’s venues across the country. Birmingham being represented by the always excellent Langley’s Gin naturally. 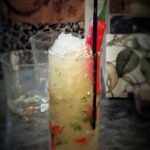 The Thai Chilli Crush was a powerful little number made with fresh red chilli, micro Thai basil, apple and lemon juice with Tanqueray gin and green apple liqueur and served with a chilli in it. It was a great way to start off the evening as the chilli and lemon juice really zinged you up. 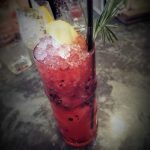 The other drink was a Blackberry and Rosemary Fizz: blackberries, rosemary, sugar syrup, lemon and apple juice shaken with Tanqueray gin and sloe gin, topped with soda. Very tasty and it disappeared quickly! Also a solid fave was the Blackberry Mint Julep, made with muddled fresh blackberries, mint and sugar syrup, a dash of aromatic bitters, bourbon and blackcurrant liqueur. It was short and sweet with the bourbon coming through at the end of the palate. Talking of blackberries, we had a sample of one of their new mocktails Berry Good Times fresh blueberries, blackberries, mint and a touch of raspberry syrup. Shaken with apple and cranberry juice, it was a nice refresher. 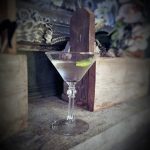 For those who like their cocktail a little more classic, there was a Botanist vodka martini -Belvedere Vodka stirred with lemon balm, kaffir lime leaf and Lillet Blanc, served dry with the lime and lemon giving it a wonderful citrusy kick. The Apricot and Mint Daiquiri was certainly the most popular drink around the table. Apricot purée, mint, lime juice, vanilla sugar syrup with golden rum and apricot liqueur, the golden rum was a nice twist on the usual white or dark rum and it’s a very successful re-interpretation of such a classic drink. My favourite drink was also another twist on a classic. Knowing my predilection for all things whisky, you won’t be surprised my favourite was a Honey & Sage Manhattan. Made with Wild Turkey Honey, sage, Lillet Rouge vermouth and a dash of lemon bitters, it was a fantastic little specimen with sweet and savoury notes and a underlying warmth from the Wild Turkey and vermouth. 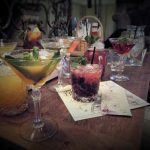 It was a great fun evening, a good way to experience the new variety of cocktails on offer. 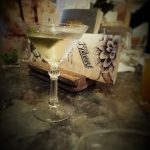 Made to commemorate one of Europe’s largest dance festivals, DanceXchange has worked with The Botanist’s experienced mixologists to create the celebratory cocktail, which will be available throughout the festival launching on 5 May. The dance-inspired cocktail is an exciting mix of Bombay gin, Aperol, and Elderflower cordial, topped off with a tangy orange zest garnish. 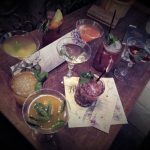 The winning name will be revealed shortly so keep your eyes peeled on the Botanist twitter feed! 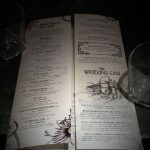 Disclaimer: For this event, I was a guest of The Botanist who provided most of my drinks; this provides no bias to the post. 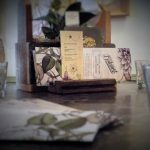 This blog is my own personal opinion and strives to provide an independent view, promoting, enjoying and reviewing the range of exciting venues in and around Birmingham.